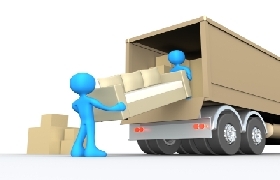 Interstate Removals aims to be the best Interstate Removals company. We offer Backloading Removals Australia wide, this can help save you money, whilst giving you the service you require to ensure a smooth move. It seems that nowadays everywhere you turn there are more and more websites chasing your business, and whilst we welcome genuine competition, it keeps us on our toes, we do want you to be aware of some of the problems you may run into and how you can spot the fly by night websites. Be Aware! Some websites have multiple web sites all in the one business. If you don’t speak to the person send you email or if you phone a different telephone number and end up at the same business as another web site be very suspicious. Read the website, if it looks cheap and nasty and homemade move to the next…. Here at Interstate Removalists we realise that not any two jobs are the same. We appreciate talking to our customers and helping them organise the best possible move out come based on their needs, Call your removalist company and ensure that you know who you are dealing with, or at least have experience in what they do.